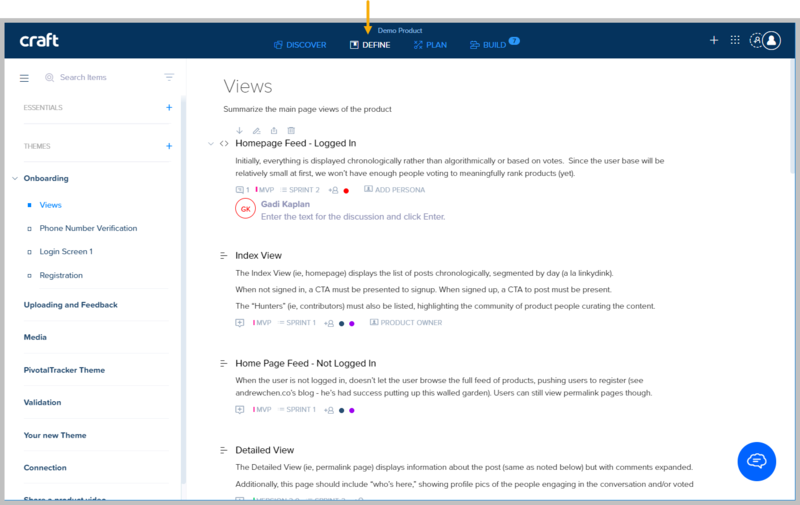 In Craft you have the ability to share your product with others, using a 'view only' link. 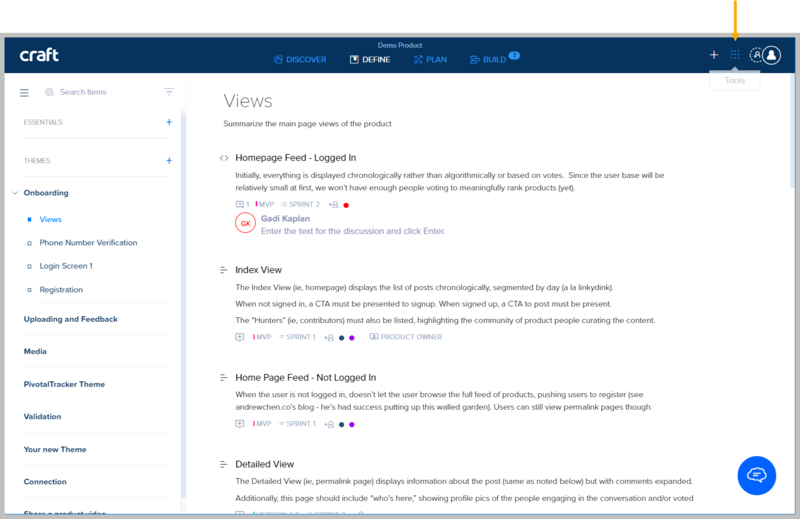 This way, your stakeholders will be able to see the most updated version of your product. 1. Click any tab. For example, the Define tab. 2. Press the Tools icon, located on the top-right, and click Share. 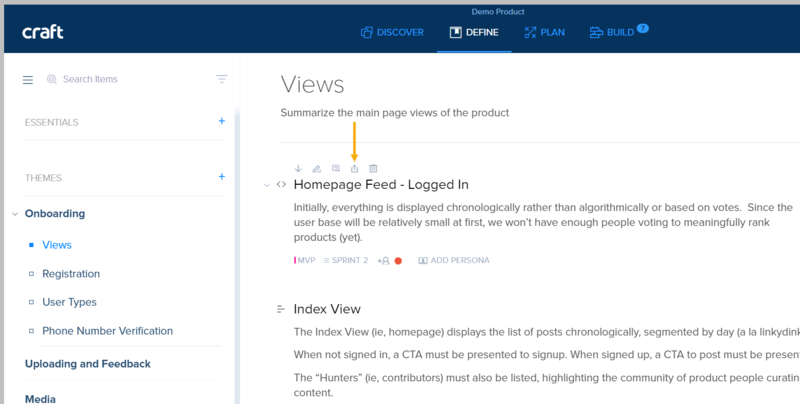 Note: Prior to sharing a product, you can filter the view to display only certain information and items. Once you include filters in your share link, the recipients will be able to see only the filtered items. 2. 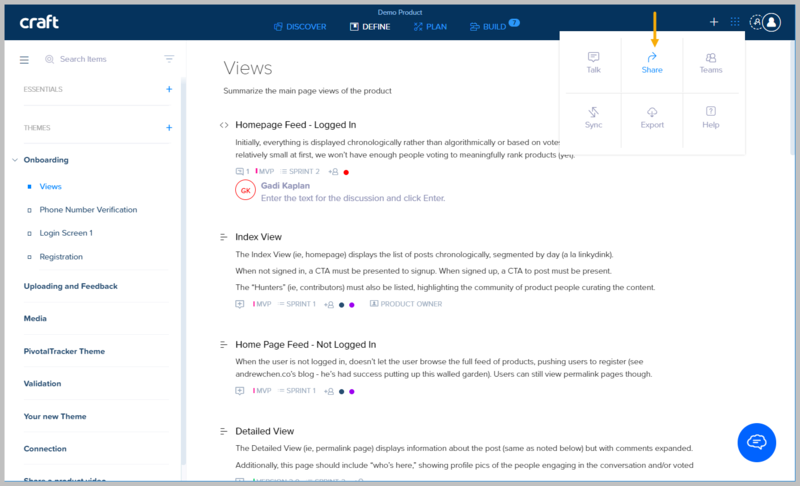 Select the first View that the product will be opened to, once the clicked link is shared. 3. Click the Set Password Protection button to enable password protection, enter a password of your choice, and click Save. 4. Click Copy to copy the URL to share your product. Note: To learn how to add Members, click here. You can also share individual Items. 1. 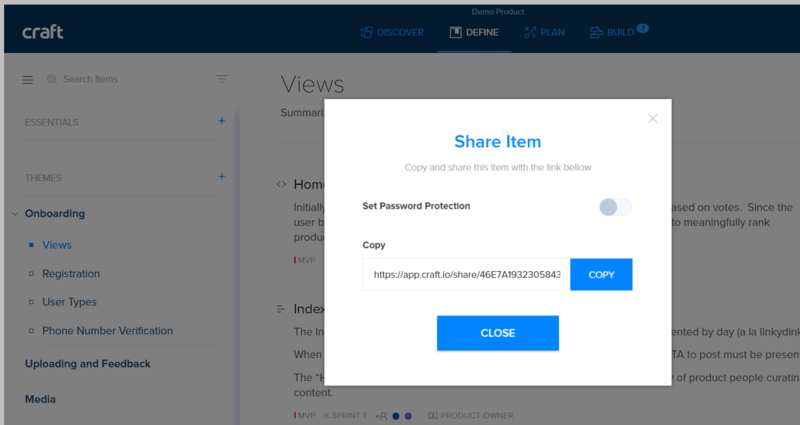 Hover over an Item to display the Share icon. 2. Click the Share icon. .
3. Set password protection (optional) and copy the link. Click Close. Note: you can also share an Item by double-clicking an item and clicking the Share button from the Item right menu.